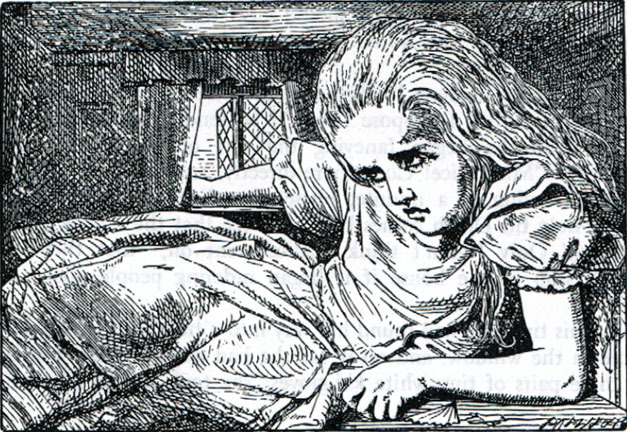 Lewis Carroll's Alice stories are among my all-time favorite books. And Tim Burton has made some movies that I have really enjoyed. So I should be happy that he's going to direct a film adaptation of Alice's Adventures in Wonderland, right? Well... Alice is one of those stories that I like so much that I get nervous any time I hear someone meddling with it. I'm sure Burton will produce a highly watchable movie, but how true it will be to Carroll's tale has yet to be seen. Burton, if you recall, took some liberties with another favorite story, Charlie and the Chocolate Factory. He got the name right, which has also plagued the Alice books, but the movie over all was about as close to Roald Dahl's book as was the Gene Wilder version of the story. Both good movies, yes, but neither entirely faithful to the original book. So, I guess we'll see. It could be great, or, well, or it could be another Alice flop. But either way, it won't be as bad as Whoopi Goldberg playing the Cheshire Cat. We've already looked at what people can do with old or unused books, both for fun and profit. But for those of you who aren't interested in furniture or fundraising, then the art of Altered Books might be appealing (what are altered books?). It is sometimes gut-wrenching to see books mutilated like this, but it can still be fascinating. The photo featured here is one of my favorite books, Lewis Carroll's Alice's Adventures in Wonderland. I like the way the story is depicted, and the creativity and craft is amazing, but it does make me sad that this is one less copy of the story that can be read.